Budapest is a union in all senses, right from its geography; it’s the union of three historic cities Buda, Pest and Óbuda. Here the raucous tunes of the Hungarian folk dances find common space with the thumping beats of electronic dance music in ruin bars. 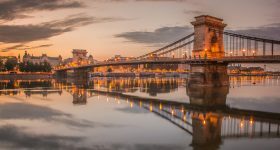 It is here that ancient castles and palaces meet the bridges that connect to a cosmopolitan Budapest that is becoming a force to reckon with in Eastern & Central Europe. And it is here that the hearty goulash finds space on the same table as revolutionary gourmet food. In April, Budapest embraces spring and comes alive with a zest for life like the best cities in the world. 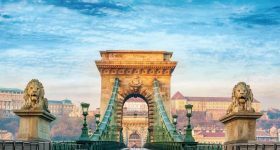 Here is a guide to enjoy this abundance of culture and history while visiting Budapest in April. Why is Budapest in April a must-visit? Outdoor weather – The sun is out, and the temperature is pleasantly warm in Budapest in April. While you cannot yet start swimming in the outdoor pools at the baths, it is perfect for walking tours and enjoying the blooming gardens and cherry trees. It is also a good time for day trips outside Budapest to witness spring in the countryside. 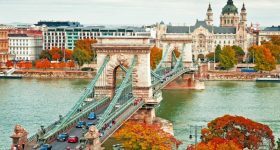 Budapest on Budget – Budapest in April is enjoying the shoulder season when international tourists are still a month or two away from crowding the city. You can expand your travel budget by getting good deals on airfare and accommodation, and spend it on special tours and activities. 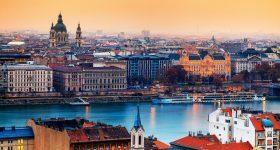 Festive Budapest – There is a festive air in Budapest in April! The celebration of Easter and Passover brings the residents out of their homes, participating in fairs and kids activities while the art and culture season is at peak with film and theatre festivals, notably the Budapest Spring Festival. It’s officially spring in Budapest in April and the temperatures are rising throughout the month, making it a pleasant time to be in the city. The average temperature is around 11°C with a day-time high of 19°C and night-time low of 6°C. The city experiences 6 to 8 days of rainfall with more chance of clear skies than previous months. The House of the Nation, as the Hungarians call their Parliament, is an impressive building facing the Danube River. Built in 1904, it is constructed in Gothic-revival style and is the largest building in Hungary. A guided tour is the best way to explore this stunning architecture, with opulent interiors. Get pampered like royalty in the grand Gellért Spa located in the famous Gellért hotel. The spa includes thermal pools that are fed by natural springs and known to have therapeutic properties. However, it’s the luxurious Art-Nouveau architecture that sets it apart from other baths in Budapest. Every step you take in Buda will bring you up and close with a part of history of ancient Hungary. The weather in April is perfect for a walking tour which will take you to landmarks like Margaret Bridge, Matthias Church, Fisherman's Bastion and a short climb upto Gellért Hill for a view of Budapest. If Buda has all the ancient landmarks, Pest is where Hungary’s more recent history took place! A walking tour through the flat Pest will take you through iconic landmarks like St. Stephen’s Basilica, Hungarian Parliament, Liberty Square, and House of Hungarian Art Nouveau, all of them built in the past century. The Danube has witnessed the growth of Budapest from two cities to the great cosmopolitan capital that is today! Go on a river cruise to explore the attractions along the waterfront, and the weather in April is pleasant enough to enjoy the open-air cruises. Enjoy folk dance, live shows and dinner on board on special theme cruises. A National Monument of Hungary, the Gödöllő Palace was the resting residence of King of Hungary back in the 20th century. It’s most beloved resident was Queen Elizabeth who was fondly called as Sisi. A day-trip to Gödöllő will give you insight into the Hungarian Empire, and the blooming gardens are a sight to behold in April! The region known as the Danube Bend is a part of the river surrounded by picturesque hills close to Budapest, nestled with the villages of Esztergom, Visegrád, and Szentendre. In April, a tour will take you by bus to the bend and return by boat from Szentendre to Budapest. Sample a platter of Hungarian salamis, dig into a Langos, and relish the Kolbász & Hurka! A food tour of Budapest is the perfect way to enjoy Hungarian delicacies with a guide who will take you to authentic restaurants, local cafes, and pubs. April promises the best of fresh produce of Spring! It seems like time has stopped at Szentendre! The quaint Baroque town in the Danube Bend is also known as the Artist’s village thanks to the number of artists who call it home. It has more than ten galleries and museums dedicated to various Hungarian arts. A day trip in April promises a beautiful springtime getaway! The sunny spring weather of April is an ideal time to glide across Budapest on a Segway. Enjoy the relaxing ride as you can view the landmarks along the Danube without breaking a sweat. 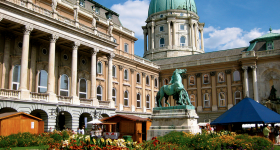 Cover attractions like Vörösmarty Square, Andrássy Avenue, and St. Stephen’s Basilica on this tour. Cherry Trees bloom not just in Japan but in the beautiful environs of the Füvészkert Botanical Gardens in Budapest. The Sakura festival is a celebration of Japanese culture and traditions, and you can participate in tea ceremonies, origami and calligraphy exhibitions, and kid’s workshops where they can learn about Japan. Budapest has multiple events running to celebrate Easter, especially for kids with Easter Egg hunts. Spring is also the time to indulge in festivities and good food with fresh produce, and you can sample this at two fairs in the city at Vorosmarty Square and Vajdahunyad Castle Easter Fair. In its 39th year, the Budapest Spring Festival brings together the best Hungarian artists and performances in events that cross over classical music, opera, jazz, world music, theatre, and visual arts. It’s conducted in iconic venues across the city like Hungarian National Museum, Liszt Museum, and National Dance Theatre. The 38th National Táncház Festival and Fair or known as the Hungarian Folk Dance Festival is a fantastic event that highlights Hungarian folk dance and music. The event is held at Papp László Budapest Sports Arena and includes competitions for professional and amateur dancers. It’s a sight to behold! The Vintage Car Festival is a trip down nostalgia! Known locally as the oldtimer weekend, the festival encourages owners of Vintage cars and motorbikes to display their wheels at the Railway Museum of Budapest. Plus, there are tons of events to participate and meet other nostalgia seekers at the festival. 2019 is the 4th edition of the Budapest Art Week and will have over 70 venues including galleries and museums participate and showcase the central theme of the festival – Russian Art. The festival is in collaboration with Moscow’s Garage Museum, and the programs will range from guided tours, workshops, and screenings to meeting the artists. 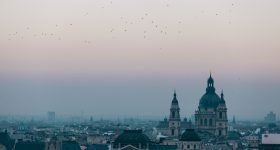 If you're visiting Budapest in April and are looking for an itinerary that you can simply adapt, here's our handcrafted 3 day itinerary. 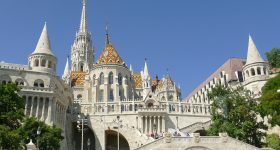 You can also take a look at our 2 day and 1 day itineraries to visiting Budapest. The weather in April in Budapest is getting warmer as its springtime. Over the years, the temperatures have risen and you can expect temperatures up to 23°C towards the end of April. The days are clearer and you will have over 13 hours of sunshine, which increases to 14.5 hours to the end of April. Budapest in April has pleasant warm days and cool nights, so while you can get out your summer dresses and tops on sunny days keep a jacket handy to cover up when it turns cloudy! The key is to bring layers, bring a light sweater for boat trips or to walk along the river, and rainproof jacket and shoes to keep dry in the occasional shower. Comfortable shoes are a must, and the city hosts many cultural events in April, so ensure you carry semi-formal evening clothes if you choose to attend. Public Transport is efficient and has a lot of options in Budapest. In April, the weather is good which makes exploring on foot comfortable and safe, especially within the old parts of the city. 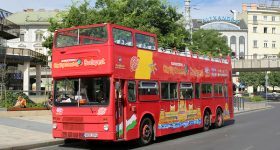 If you wish to venture further then invest in a Budapest City Pass which has free public transportation, or you can also buy single tickets. 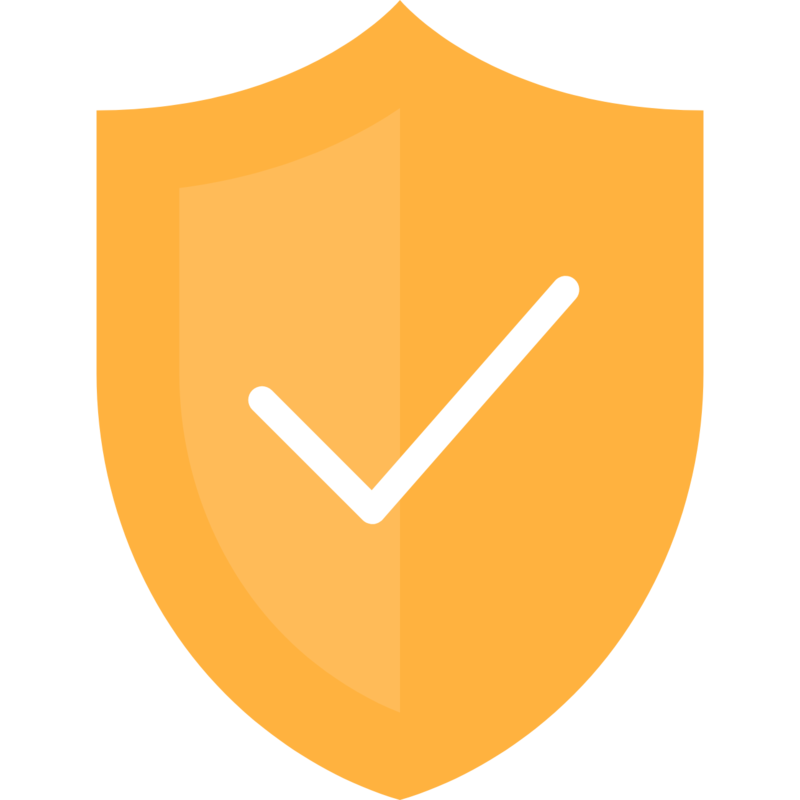 Just make sure you validate the ticket at boarding of any transport, buying a ticket isn’t enough as you might be fined for not validating it! 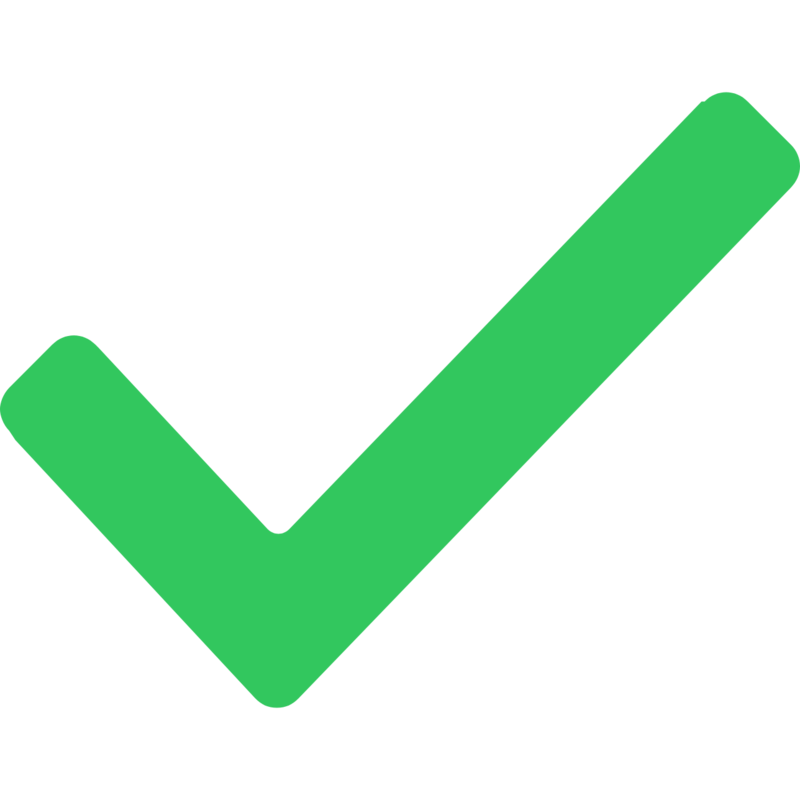 The Metro has four lines (M1, M2, M3, and M4), Tram routes 2,4,6 can take you to all the spots, while there are buses and taxis freely available. Budapest is heaven for party lovers, and you can enjoy the weekend parties at the thermal baths in the city. But if you want to take it up a notch, buy a ticket to the Hyperspace Electronic Music Festival on 13th April 2019. It’s Hungary’s biggest electronic dance music festival. Film and theatre are celebrated heavily in Budapest in April. There are two significant events – the Titanic Film Festival (4th April – 13th April) that focuses on contemporary films, and the Budapest International Theatre Festival (10th April – 5th May) that is conducted at the Hungarian National Theatre and brings together theatre groups from 11 countries! Passover is a Jewish festival that is celebrated from 19th April to 27th April 2019. You can participate in the events and special feasts at venues in the historic Jewish Quarter of Budapest especially at the old Dohany Street Synagogue (Largest in Europe). Book lovers can rejoice, the 26th Budapest Book Fair will be conducted from 25th – 28th April 2019 at Millenáris in Budapest. You can meet over 100 authors from 25 countries and over participate in book signings, author meets, and workshops. It is the perfect time to enjoy outdoors in Budapest in April, and if competition gets your adrenaline high, then you should participate in the 34th Telekom Vivicittà Spring Half Marathon (13th – 14th April). If you enjoy taking it a bit slow, join in the I Bike Budapest Fest (22nd April 2019) that is a cycle rally across the city. 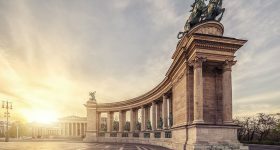 Looking for more things to do in Budapest? Here are a few guides that will help you plan your Budapest vacation better.